Central Ohio SPJ celebrates its 69th annual Founders’ Day on Wednesday, April 18 from 5:30 – 7:30 p.m. Join us for an evening of professional camaraderie and the celebration of good journalism at the Amelito Mirolo Barn in Upper Arlington. We will celebrate the best of central Ohio journalism by awarding our First Amendment Award along with Appreciation, Distinguished Service and an unprecedented four Lifetime Achievement Awards. We will also hand out the dubious Brick Wall Award for obstruction of public access to information. This year’s award recipients include: WBNS TV 10, former Columbus Dispatch sportswriter Todd Jones, SPJ board member Bruce Cadwallader and lifetime achievements for Dispatch retirees Barb Carmen, Alan Johnson, John Switzer and WSYX TV 6’s Carol Luper. Tickets are $45. Social hour beings at 5:30 p.m. with an open bar and hor d’oeuvres. Programming begins at 6 p.m. A silent auction will also be held with proceeds to benefit the chapter’s numerous scholarships. 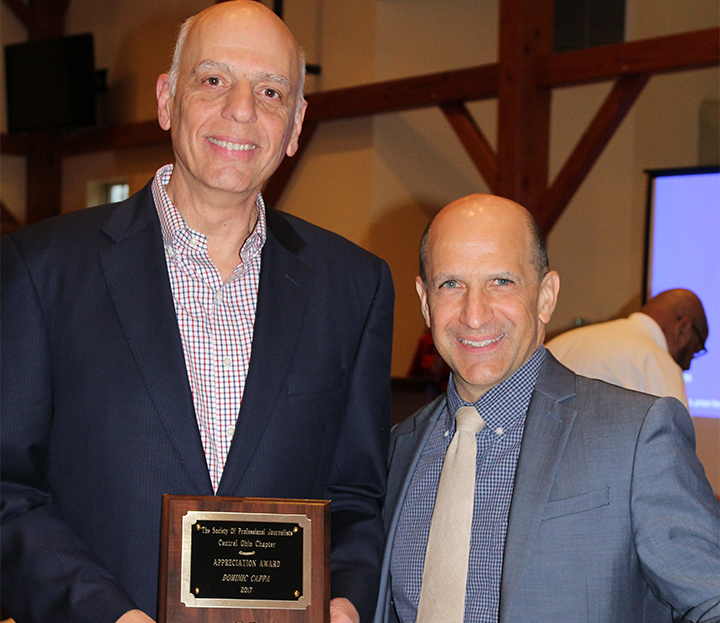 At the 2017 Central Ohio SPJ Founders’ Day celebration, Dominic Cappa of Columbus Business First was the recipient of the SPJ chapter’s Appreciation Award for his long-term dedication to SPJ and supporting local journalism programming. Doug Buchanan of Columbus Business First was the recipient of the Distinguished Service Award for serving as president of the SPJ chapter. During the 68th Annual Founders’ Day celebration on April 6, 2017, the chapter honored Jerry Revish with a Lifetime Achievement Award. This award honors individuals for their lifetime of contribution to the journalism profession. 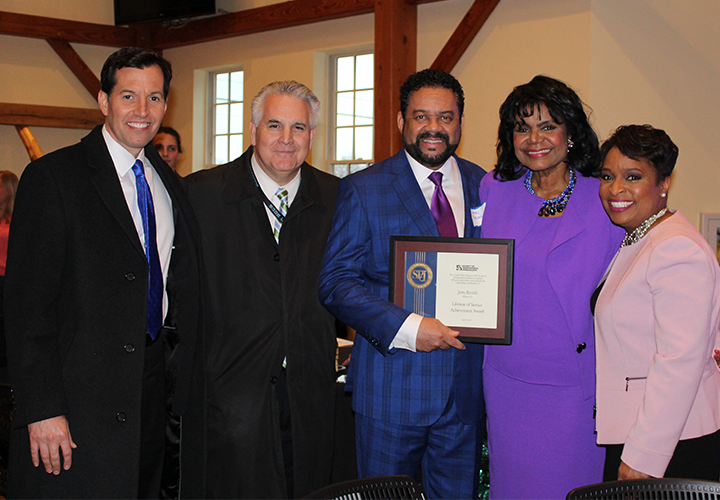 SPJ is excited to recognize Jerry’s outstanding work and successful career with WBNS-10TV.